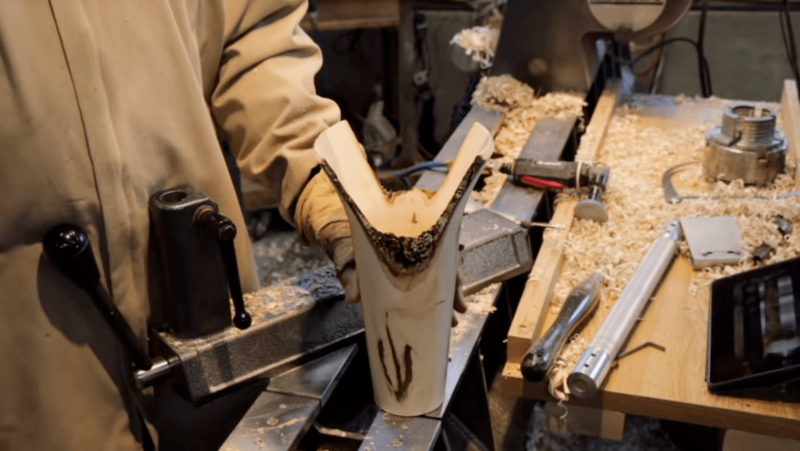 Do you want to try woodworking with your lathe? If you are, then this article shares some of the best wood lathe project ideas to create using a Wood Lathe machine. Also included are tips on how to use your wood lathe machine for your project as well as choosing the suitable project for your needs. There are a few things to consider when choosing a good wood turning project. First, you need to have plans for the project because doing something off the top of your head may yield undesirable results. There is no point in learning everything from your own mistakes when somebody else has already done it for you. The best wood lathe projects will cover every little detail that you need to know about in advance. The projects in this list are unique in that they are perfect for beginners and aspiring wood turners. ​Below are thirty of the best ideas woodworkers have come up with using a wood lathe machine. You can try them too! 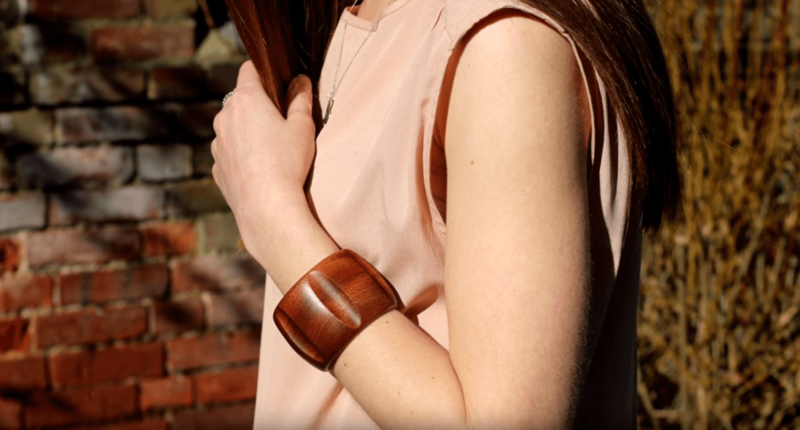 These bangles are created using the wood lathe machine. Display these bangles in your house by making it with the wood lathe machine. The bangles are strong and durable and cannot be damaged that easily, which makes it its biggest advantage. Click on the link in the image to check out the details of the project. The simple wooden box is composed of a blank canvas. Its detailed accents reflect creativity, making it a perfect project to develop your spindle skills and enhance your aesthetic sense. Working with shallow boxes first will enable you to do the better interior cutting. I have always wanted a wooden bowl with which one can drink. And finally, I saw one who created this unique piece of art using a wood lathe machine. You can also make one yourself and use it for drinking water for the whole family and gang. It is durable and unbreakable because the wood is of excellent quality. Whether a beginner or experienced turner, pens are always a fun wooden lathe project to do. The different varieties of pen blanks provide an array of options for you to choose from. Pen turning is a great exercise to master basic shaping and roughing of cuts with the spindle gouge. You will learn to apply leveling and control pressure depending on the type of cut. A favorite among turners, the iconic square bowl is an elegant piece that would satisfy the creator. Begin with small and shallow bowls with large openings for practice. These characteristics provide more access to shaping the bowl’s interiors and enable you to master cuts. 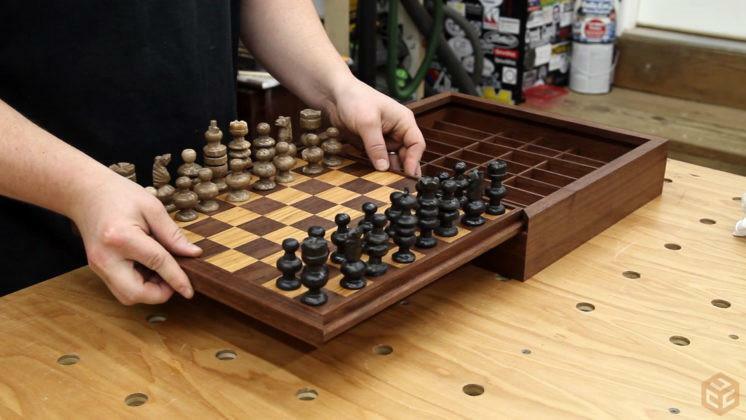 Check this chess box invention, made from excellent quality materials and features sufficient space to place as many items in it. You can open this from the upside as well as on both sides, and includes handles for lifting. Make one by utilizing a wood lathe machine. 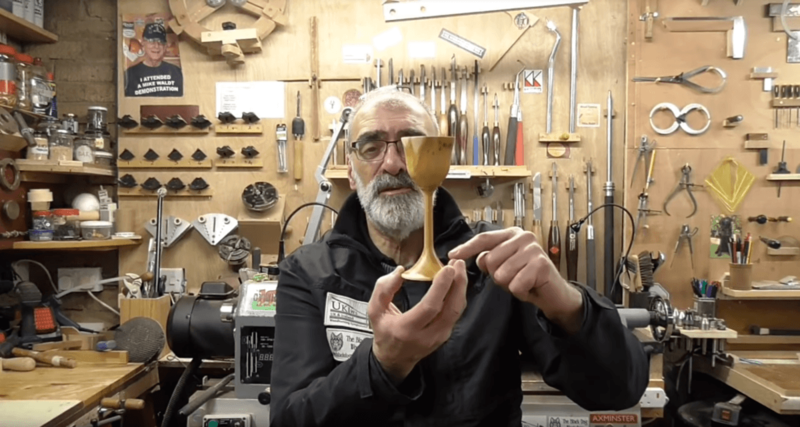 Create an exquisite goblet using only basic techniques. You can craft the goblet to whatever shape you like. Thicker stems will result a shallower, wider cup with less chatter to make turning less difficult. This is an excellent project to sharpen your spindling skills since you’d be working on the spindle gouge a lot. 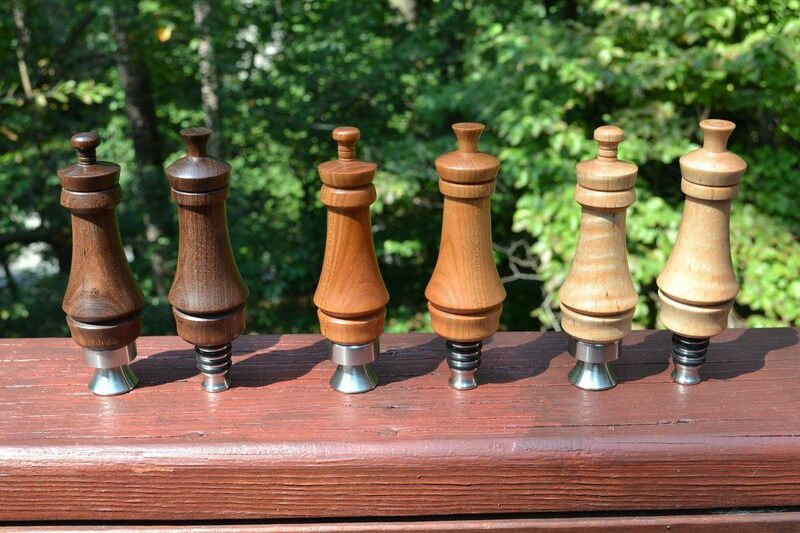 Bottle stoppers are not only handy but also make a fantastic DIY gift. Stoppers are easy to turn since you’d be working only on a small piece of wood – a great medium for beginners. Not only is scrapping with small wood block less expensive, but it’s also easier compared to other mediums. Clocks made entirely out of wood that, at the same time, tick and tick are very uncommon. But does this work? You need the skill to do this. 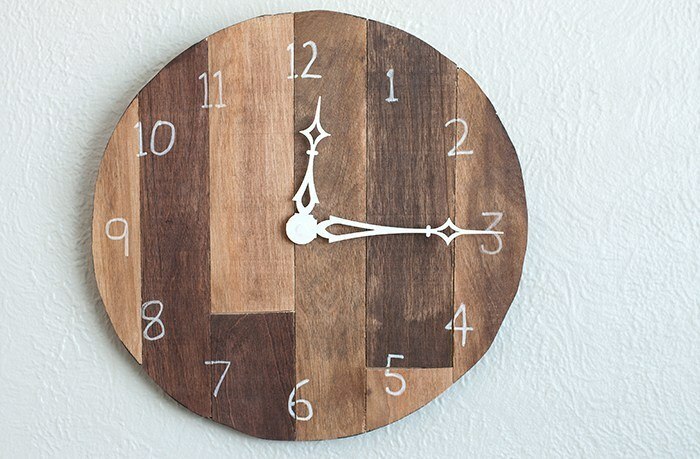 Below is an image of a wood-made clock that works! While cooking or whatever you do at your home, you would always need a clock. Why not make it yourself with a wood lather machine. Add this clock to your home’s aesthetic. I hope you won’t confuse the name of these beautiful little crafts for something else. 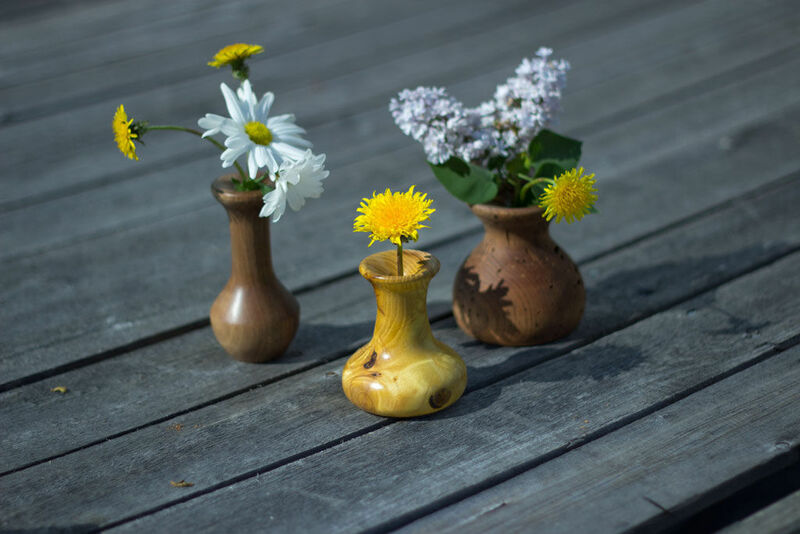 They are miniature vases that can be used to contain weed flowers such as dandelions. Unlike bigger vases, the hole is not hollowed out but drilled to keep the contained plant healthy for a longer period. 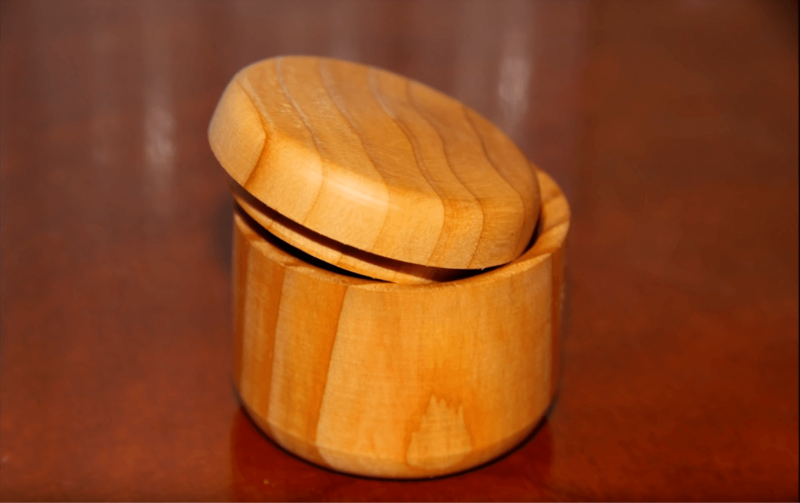 Did you know that you can make a lidded box out of wood? 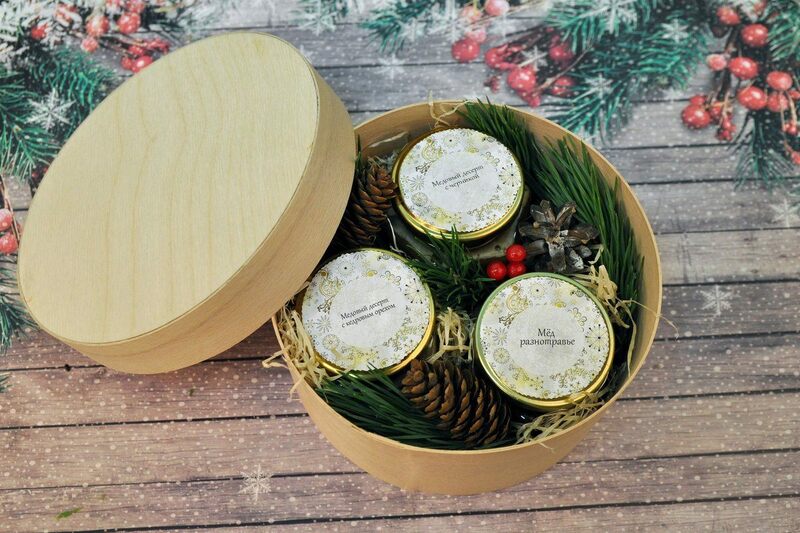 Lidded box is one of the most important household pieces. Make one yourself using a wood lathe machine! The advantage of any wooden made item is that they are unbreakable. You can also pick out its colors. You’d be surprised by the result as well! Check out how chic it looks using wood. You can ask any seasoned chef, and they will tell you that wooden spoons are among the most important kitchen utensils. When tasting acidic foods and pasta sauces, wood does not alter the taste. 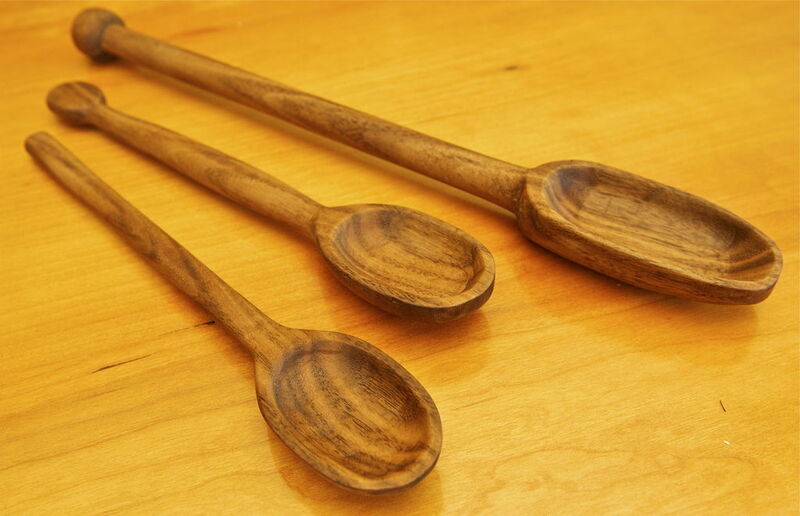 Wood turning will enable you to create simple, ornate spoons with very little experience required but good results produced. You would often think that glass is always made out of crystal but did you know that it can also be made out of wood? Check out this wooden glass for household purposes. Make one to use for drinking or display. Achieve this look below by using a wood lathe machine. This item looks unique and elegant at the same time. 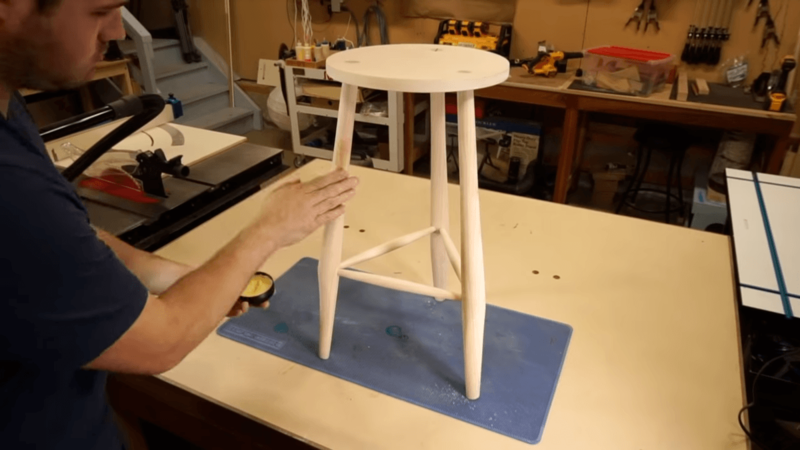 This is among the simplest, most fun projects you can do with the family with a functional piece as a result. Depending on the size of the piece, you can also turn it into a neat seating for dolls. It is also made up for four easy parts, leaving plenty of room for practice. How about this: a hat created from wood? This remarkable wooden that is quite stunning to look at. Try making one and choose from various colors; also include a band to cover around it. All these materials in the picture below are made out of wood and through the use of a wood lathe machine. You can rarely see this wooden hat. Do love candies? Do you ever want designated an area to keep all your sweet? Why not create a wooden box where you get to keep them and are safe from other candy-lovers in your home? 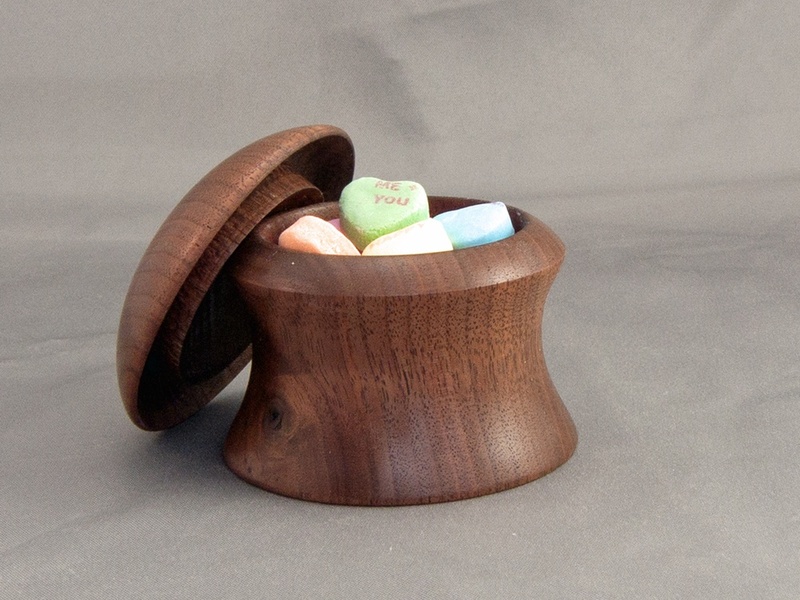 You would love this box’s look; it’s created from wood, which includes a cover to enclose your sweets inside. Even kids would envy you with this candy box. Want a place to keep your sewing materials? 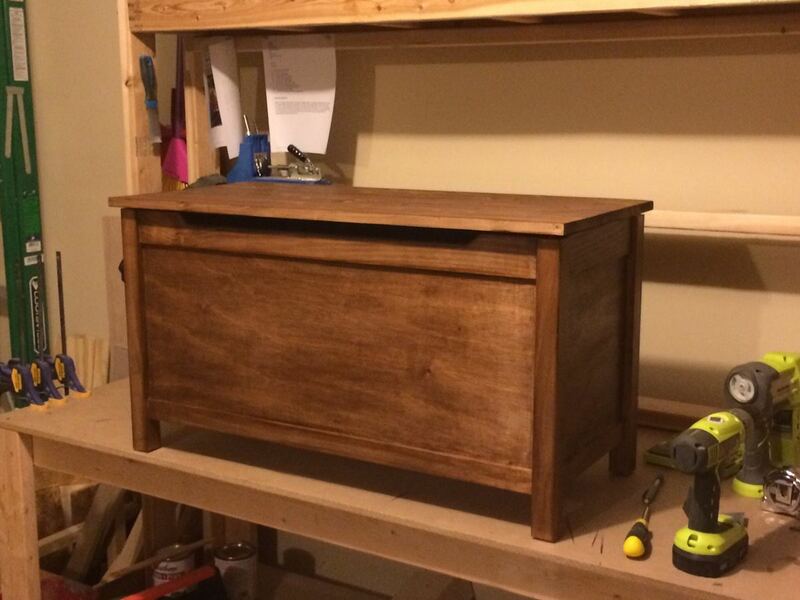 Check out this cool idea; make your very own sewing box out of wood. It is easy using your wood lathe machine. The picture below says it all about the gap in between where the thread passes through. Anyone who loves to sew would adore this project. 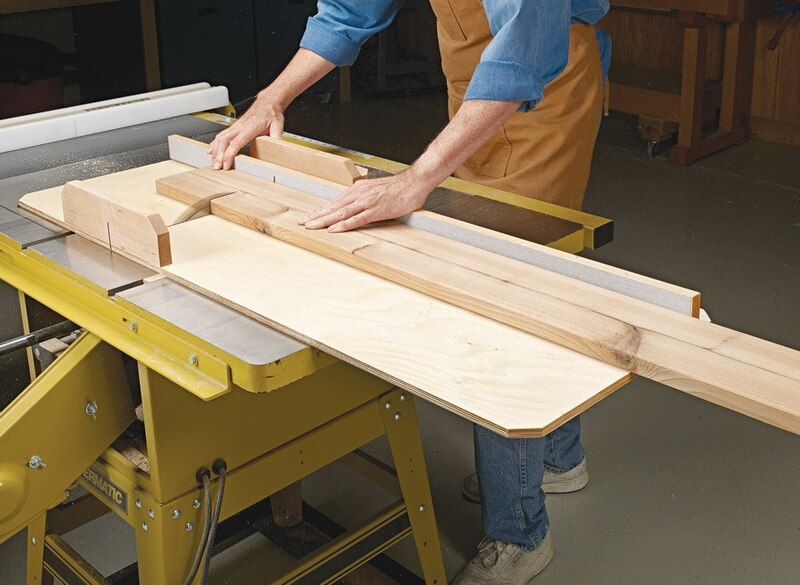 This saw table is an elegant and adorable invention. What’s more? 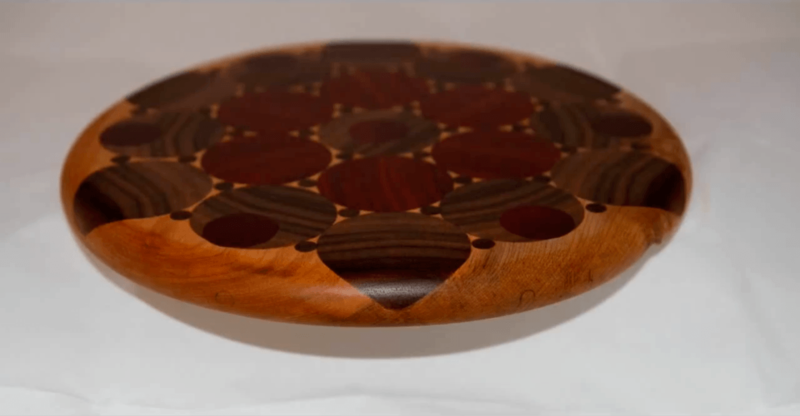 It is made out of wood, where you can create with a lathe. 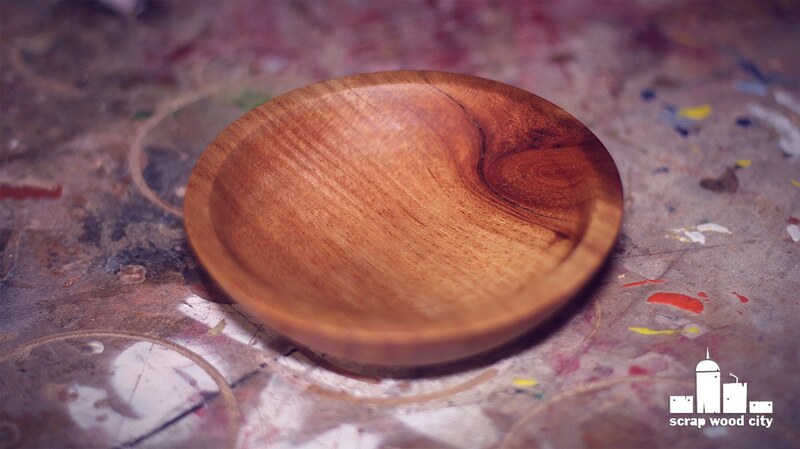 Try making one by utilizing your wood lather machine. If you love to saw, then you will find this project worth your while. 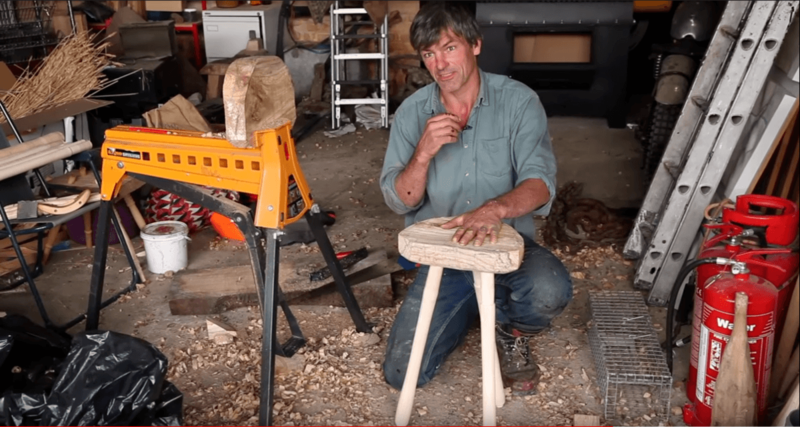 This remarkable stool is made of wood. Use it in the kitchen or, really, anywhere in the house. It features support legs that connect two legs. 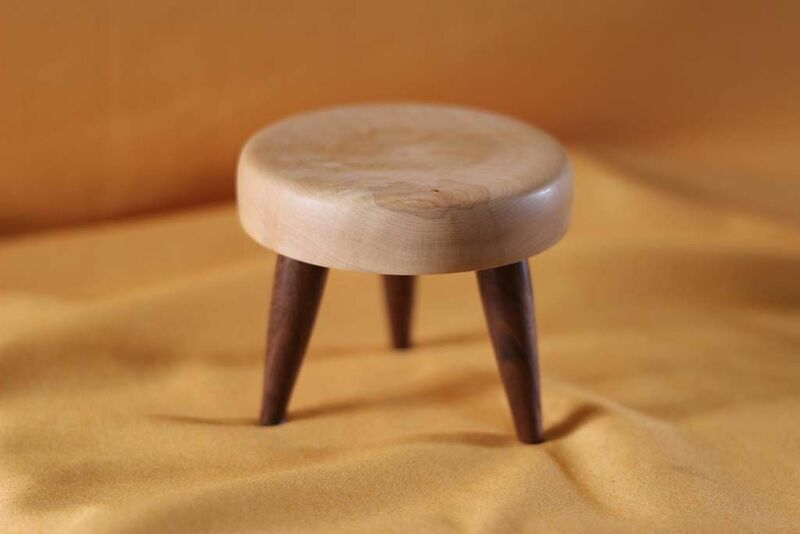 While sitting on it, you could keep your legs on the stool. Try to make one that is useful in your home and create one using a wood lathe machine. Wooden vase are quite uncommon in homes; make one and put that charming aesthetic into your house. Use a decor, display, and put some actual flowers on it to further the appeal. When using wood for this project, you can custom-make various shapes and sizes. 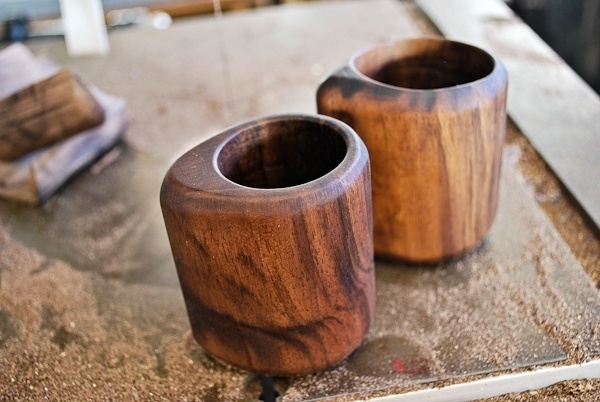 Add beauty to a home with wooden vases made using your wood lathe machine! Does it look appealing to the eyes? You can use this for saving money; especially those precious coins. It is durable as it is made from walnut. 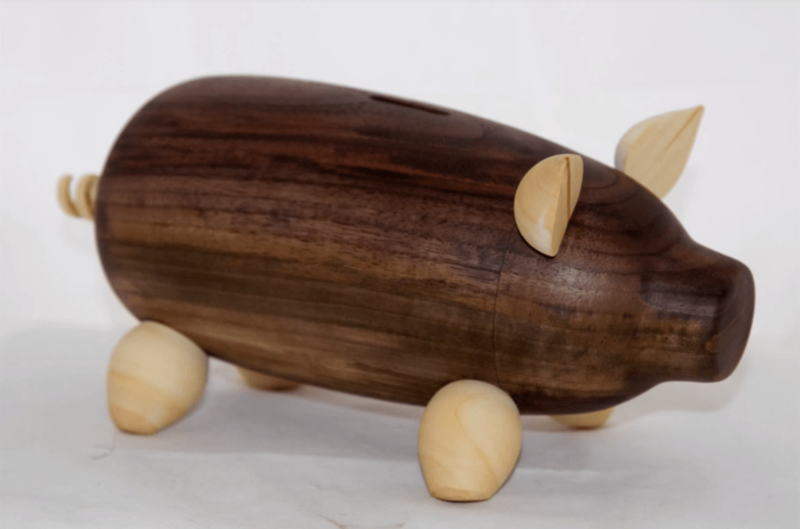 Rather than your typical piggy bank, use the wooden version instead! Make one, and decorate it with your personal style! Now, if you desire something of elegance and uniqueness, use wood for your dressing table mirror. 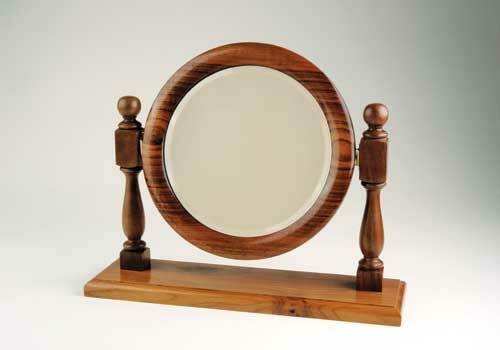 Wood is durable, so it is likely that it will protect your mirror within. You can also save money and space for this project as well. Many people love cooking. Wood cutting boards are a perfect project for such people, mostly because wood is powerful and strong. Use it for cutting veggies, meat, and many more in your kitchen. Make your life easier and healthier by using wood as your cutting boards. Make one through the use of a wood lathe machine. This wood cutting board look classy. It is very functional as well! A lot of people are becoming more creative using wood in constructing staircases. This stunning wooden staircase is matched with the floor. Make your own by choosing darker hues of wood, so the elegance stands out, enhancing the look of the house on the whole. This is one of the more costly homes and wood projects out there. This inimitable chair is created from wood materials and feels extremely comfortable when sat on. It has a cushion on its seat for more comfort. It also has bars that are separated from each other. Creating this chair requires a bit more time and effort as process the creation is quite intricate. In the next section, you will learn about lathe and its uses. Lathes come in various sizes and shapes, with different accessories and types, as well as features to enable you to finish your job neatly at the shortest time possible. To begin your wood lath projects, first, gather all the materials and equipment you need. Wood lathes are used exclusively for wood applications. 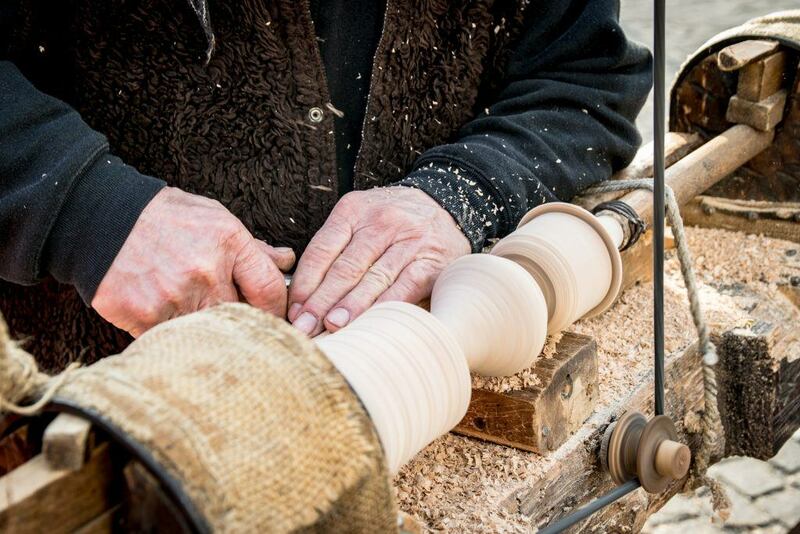 Using a wood lathe will require skill and a steady hand to control the device and provide you with the finished craft complete with intricate curves, and smooth sides often found on top-quality pieces of art. Generally speaking, wood lathes are adjustable and feature a tail-stock, head-stock, tool rest, and bed. In finding the best lathe for your project, consider these two things: price and performance. The best lathe for should be reasonably priced and surpass expectations and user’s requirements, and applicable to your needs. Always remember that when purchasing lathes, you must never compromise quality just to save on cash; otherwise you’ll be unhappy with the product. However, you can always find an excellent middle point – the best of both worlds. Before making a purchasing decision, think about the features that affect the wood since you will be doing a woodworking project, among others. Acquaint yourself with the various models on the market and purchase one that you wish to utilize for a few years. And with all these considerations, it’s crucial that you analyze the various factors when evaluating features for certain lathes that you could apply for your projects. If you do not research about the product, it may be a waste of money, or you wouldn’t be able to use the device to its purpose and capacity because of the lack of knowledge and skill. Check out the reviews to help you more when choosing the right type and model. 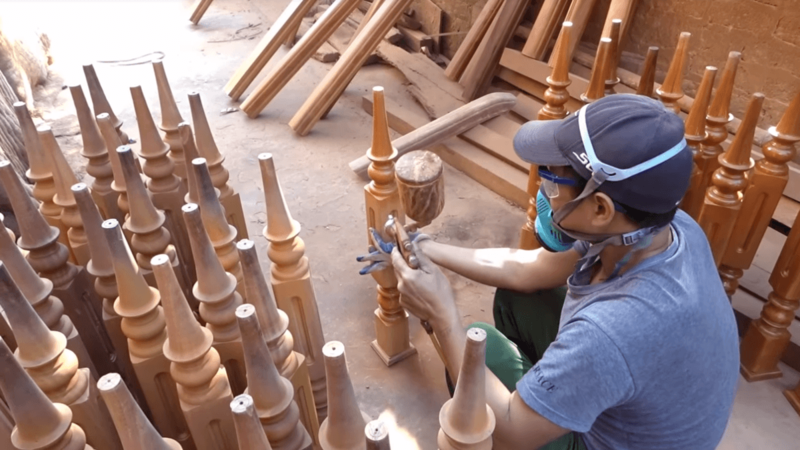 Lathes are often utilized for making decorative as well as functional items like chair legs, bowls, table legs, and toys. Lathes come in various sizes from bench top versions to those as huge as cars. However, all these share the same objective with the same basics. Don’t forget to read the user manual when buying the top-performing lathe to learn the safety guidelines, features and instructions when using the machine. Find the right wood depending on the project you’re considering, square the metal or wood shape and cut in length. Measure and find out the center at every end of the wood or metal, and place it between the centers of the lathe. Hand-turn or free spin the piece of material you have in the machine to ensure that it doesn’t strike the tool rest. Put the test tool and parallel it to the work-pieces’ length. Be sure to keep the pieces sufficiently far back to enable the piece to rotate. Do not hit the machine. Keep the piece close. Choose the chisel that you will use to sever the piece. As we’ve mentioned in the previous section, the type of wood you will use will depend on the type of project you will be doing. Knowing what materials to use for your wood lathe project is of utmost importance. You need to choose the right type of wood for your project. 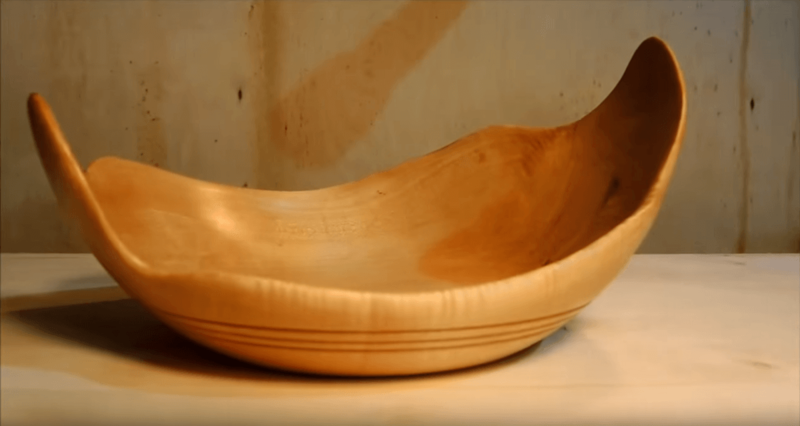 If you’re making a wooden bowl, then you need to choose the types appropriate for eating. There is also wood that would work best as a chair leg. You may also need other tools for your project since the wood lathe would only do the wood turning and special cutting tools would be required to create the right shape and design. The best project type for you will depend largely on the types of items you want to create with your tools. For beginners, it is best to choose simple projects such as wooden plates, rounded legs, musical instruments, wooden bowls, and furniture. 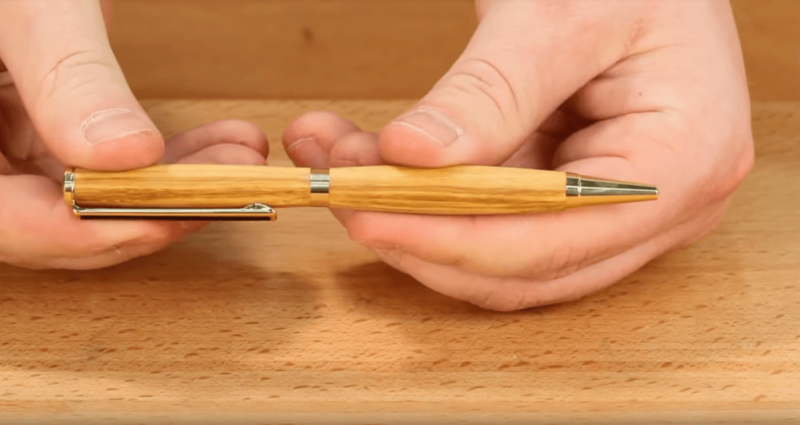 There are those who prefer creating wooden pens using mini lathes. That might be something you want to begin with. You should find some good choices that fit your objectives on our list. If you are an aspiring wood-turner and you have a wood lathe that you would like to put to good use, then you should pick a suitable project, to begin with. There are a few things you need to consider in choosing the right project for you. First, think of the scale of the project you’re planning to do. The tool’s size will set the parameters of what you can accomplish here. If you’re using a bench-top type mini lathe, then you’d be limited to smaller items like small bowls, flutes, and pens. But size isn’t everything because you’d have better chances of creating quality work with smaller items compared to bigger ones. If you happen to have the cast iron floor type such as Powermatic 3520b or Shop Fox W1758, then you should be capable of creating large wood bowl projects or big table legs and other bigger items. A midi lathe will allow you to create somewhere in between. We hope you enjoyed this post. Which among the 25 wooden lathe projects is your top choice? Feel free to share your thoughts in the comments. We would love to hear from you. And don’t hesitate to ask questions – we address them as soon as we can. And finally, don’t forget to share this post with your friends. Good luck with your woodworking project!